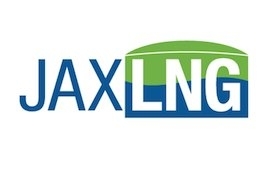 JAX LNG LLC (JAX LNG), a joint venture between Pivotal LNG and Northstar Midstream, today announced that it has received a Letter of Acceptance (LOA) from the U.S. Coast Guard (USCG) for the operation of the company's waterfront liquefied natural gas (LNG) facility, as well as the approval to conduct ship-to-ship LNG bunkering operations for TOTE Maritime's Marlin Class ships with the LNG barge, Clean Jacksonville. JAX LNG and TOTE Maritime received their first LOA from the USCG for establishing the LNG bunkering facility in 2015. "Since then, JAX LNG has safely delivered LNG to TOTE Maritime's LNG fueled container ships. In addition, Pivotal LNG has demonstrated the ability to safely conduct LNG bunkering operations while TOTE Maritime simultaneously loads and off-loads cargo at the port," explained JAX LNG. In October 2016, JAX LNG announced that it had completed the engineering and procurement contracts required to initiate construction of the new facility in Jacksonville, Florida. "The receipt of this second LOA demonstrates our commitment to our customers, the value of inclusive port stakeholder relationships, and exhibits confidence in our rigorous operational risk analysis methodology," said Tim Hermann, President of Pivotal LNG. Ship-to-ship LNG bunkering associated with the facility is expected to commence early in 2018. JAX LNG has previously said that, upon completion, the facility will be outfitted with a 2 million gallon storage tank with a 120,000 gallon per day production capacity. Dry bulk operator increases existing facility to install more units.